Today is the day that I will be heading down to London to meet lots of blogging friends from around the world - people do travel that far to attend! I am ever so excited and I would have never ever been able to attend if it wasn't for my amazing Britmums sponsors, Nelson Arnicare. I thought it would be a nice touch if my readers got to find a little more information out about Nelson as a brand and I also thought it would be a nice touch to let my readers win one of their fantastic products. The Nelsons® arnicare® brand offers a range of products to help you bounce back in the most natural way! Nelsons Arnicare products use natural extracts of arnica to relieve bumps and knocks for the whole family. How are Nelsons Arnicare products prepared? All the Nelsons arnicare products have been carefully prepared from the alpine plant ‎Arnica montana, grown in the Scottish Highlands. What products are in the Arnicare range? Products in the Nelsons Arnicare® range include Nelsons Arnicare® Cooling Gel (£5.15), Nelsons Arnicare Arnica Cream, 30g (£5.09) and 50g (£6.93), Nelsons Arnicare® Arnica 30c pillules (£6.04), Nelsons Arnicare® Arnica Kids Stick (£4.50) and Nelsons Arnicare® arnica bath & massage balm (£8.15). 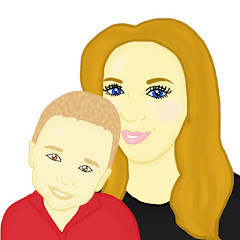 What is Mummy To The Max's favourite product from the Arnicare range? Why is the Arnicare Arnica Kids Stick your favourite? Arnicare Arnica Kids Stick is designed for active little ones. It is a fun, fast-absorbing formulation. It is specially formulated for children’s delicate skin, helping to keep it soft and supple. What else is there to know about the Arnicare Arnica Kids Stick? The Arnicare Arnica Kids Stick is a unique pocket sized item, the brightly coloured purple balm simply glides on and is non-greasy and paraben-free. 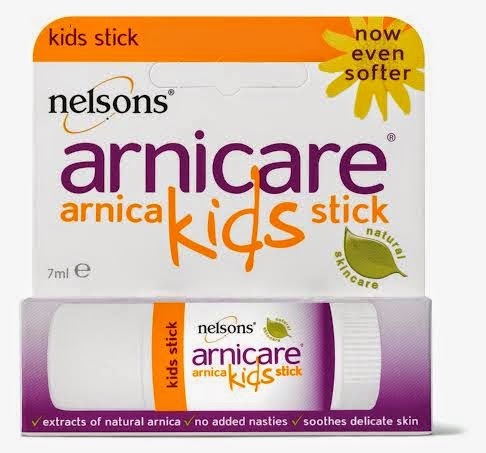 Nelsons Arnicare Arnica Kids Stick is enriched with Shea Butter and has been developed with the natural alpine flower Arnica Montana. What age range is the Arnicare Arnica Kids Stick suitable for and where can I buy it? Nelsons Arnicare Arnica Kids Stick is suitable for children 3 years and over. Priced at £4.50 for 7g, it is available from Boots and all good independent pharmacies and health food stores nationwide. Please visit www.arnicare.co.uk for more information. 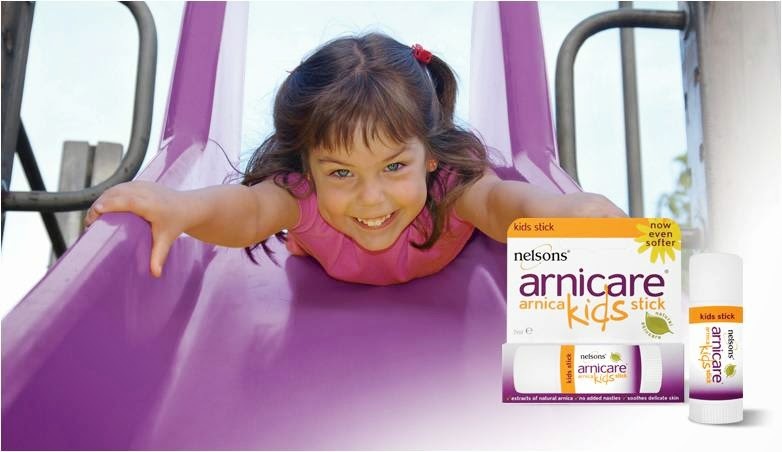 Today I am giving my readers a chance to win one of 5 Nelsons Arnicare Arnica Kids Sticks. To enter this competition please enter the simple rafflectopter form below! Good Luck! I have tried the teething granules which were fab! The bath and massage balm. the kids stick sounds like it was made for my son! arnica kids stick ~ notice they've changed it. the one we have is quite hard to apply as it is quite hard. The Cooling Gel would be very useful. The cooling gel would be good for my back! I would have to say the cooling gel! The Nelsons Arnicare® arnica bath & massage balm - because it sounds like it might get them to sleep! I bought my daughter the teething granules and they are amazing. I would recommend them to every one. The Arnica Stick for Mrs.R. Would love to try the new softer arnica kids stick as we used to use the older version which was always so hard, and having to rub this into my boys bumps and bruises was always difficult! The kids stick, they'd love it. Got to be the Kids Stick. Had a look on the web about their stuff. My kids love to play and little knocks and scrapes happen. Perfect solution! I would love the kids stick, my son and daughter always look like they have been in the wars with bruised legs. The cream..allways have some in our bag..3 boys mean a lot of bumps! I would be happy to win anything as I will donate the prize to charity, to go to Romania. The cream, perfect for my boisterous little boy.